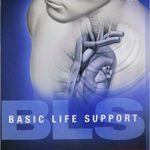 Advanced Cardiovascular Life Support and Pediatric Advanced Life Support is an advanced, instructor-led classroom course that highlights the importance of team dynamics and communication, systems of care and immediate post-cardiac-arrest care. It also covers airway management and related pharmacology. In this course, skills are taught in large, group sessions and small, group learning and testing stations where case-based scenarios are presented. We offer the Initial and Renewal Programs for both the ACLS and PALS. So please contact us so we can make sure you are in the appropriate program. 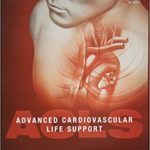 2015 ACLS Required Manual – either book -can be purchased on Amazon. Credit cards and deposits are required for these programs. (Compressions – Airway – Breathing) form. Please bring your Pre-Test to the ACLS class. This will help remind you of the skills that you will be covering in the class.